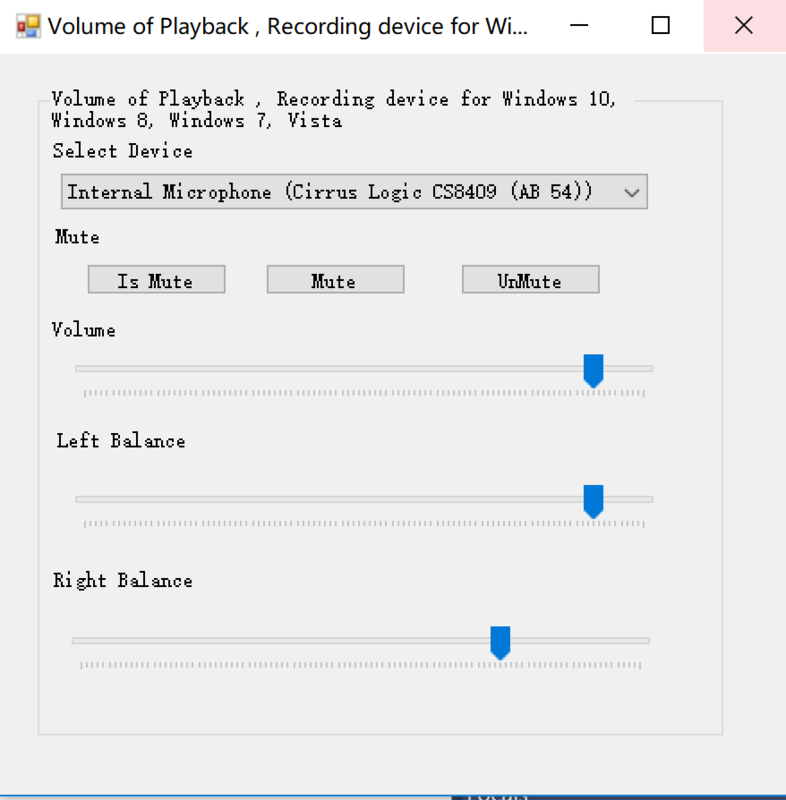 Control Sound Volume of Playback Device, Recording Device on Windows 10, Windows 8, Windows 7 and Windows Vista. 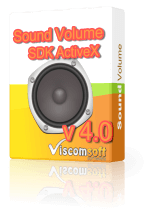 Control Sound Volume ( Master Volume, Wave, CD Audio, LineIn, Microphone, Phone Line, PC Speaker, SW Synth) and Recording Control ( Microphone, CDAudio, LineIn). Enable/Disable mute function on Windows 10, Windows 8, Windows 7 and Windows Vista, Windows XP, Windows 98, Windows Me. Object Base design, easily to use. Include c# 2015, c# 2010, VB.NET 2015, VB.NET 2010 , VB.Net 2003, VB Script, VB6 , VC 2010, VFP Sample source code. 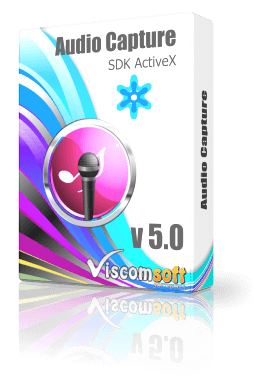 added supoort on Windows 10.
added mute or unmute playback device or recording device on windows 10, windows 8, windows 7 and windows vista. 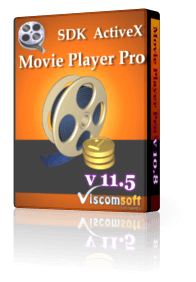 added checking the mute status of current playback device or recording device on windows 10, windows 8, windows 7 and windows vista..
changed MFC dll files to MFC 10 dll files. added VC2010, C# 2015, VB.NET 2015 samples. added W7SetDeviceMute and W7GetDeviceMute methods. updated VB6, C# 2010, VB.NET 2010 sample. fixed c#2010, vb.net 2010 samples cannot run on 64 bit OS issue. 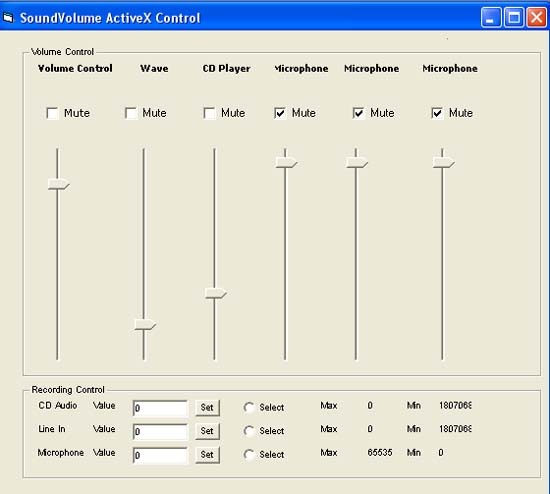 support control speaker volume and microphone volume in window vista and window 7.
added W7SetDeviceRightBalance, W7SetDeviceLeftBalance, W7SetDeviceVolume,W7GetDeviceRightBalance, W7GetDeviceLeftBalance, W7GetDeviceVolume, W7SetCurrentDevice, W7GetSpeakersName, W7GetSpeakersCount, W7GetMicrophonesName, W7GetMicrophonesCount, IsVistaWindows7 methods.